Living in Southern California our winters are pretty mild, but on occasion Rufus needs a little extra warmth. When clothing shopping for a low-riding doxie, I often look for something that is wash and wear, covers his underbelly to keep him dry and clean, and has no or short sleeves. 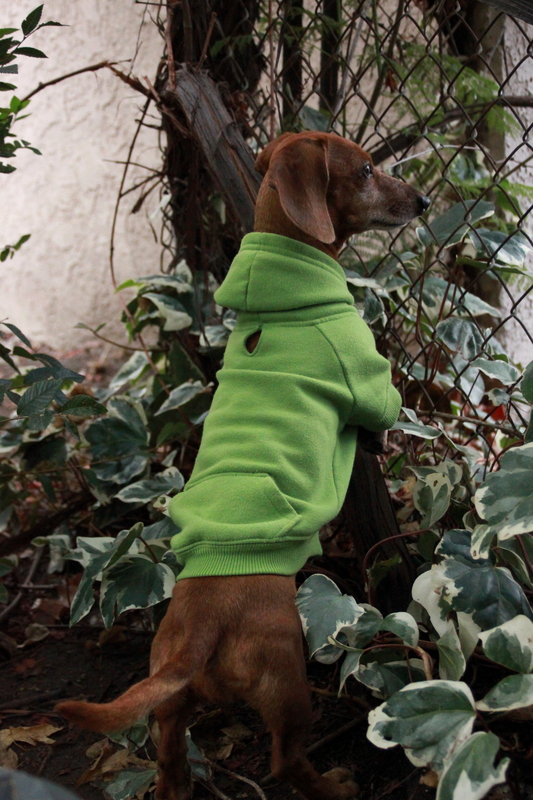 Rufus’ green Zack and Zoey hoodie was a real unexpected find and has only gotten better with wear. 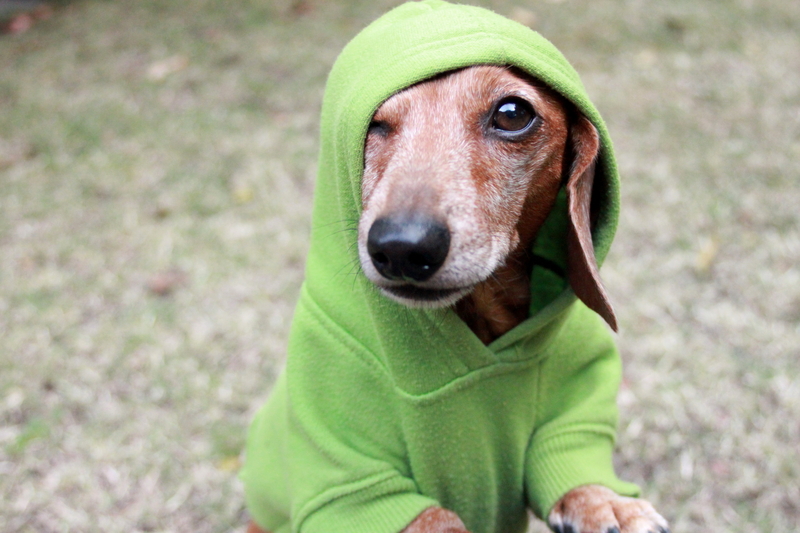 For more info on Rufus’ green hoodie click here. This entry was posted in Rufus and tagged clothing shopping. Bookmark the permalink. as well as your Rufus, and all excellent in the acting arena. Well done! !